Rachel is a soap making, wine brewing small farmer in Minnesota, running One23 Farm with her husband, a dozen sheep, and blue heeler dog. Soap making is an old skill, once essential and now almost a moot point. But our great-grandmothers and grandmothers knew how to do it. For some of us, our mothers knew how to do it. Making your own soap can be a really fun project, whether you’re interested in making a unique product, or you’re looking for an experience with a truly creative craft, or maybe you just want to use real soap rather than store-bought “cleansing bars.” One of the greatest benefits of home made soap, as far as I'm concerned, is knowing that the soap you wash with is devoid of potential skin irritants like artificial fragrances and artificial colors. Soap making at home does not have to be an expensive hobby, and I think you’ll find that you already own most if not all of the essential ingredients. It doesn’t have to be terribly difficult, either.There are only three ingredients to the soap making process, and once you understand them, you’ll be on your way to making soap that’s unique and natural. Before we begin, I should mention that there are actually two ways to make soap at home: Cold process and hot process soap-making. 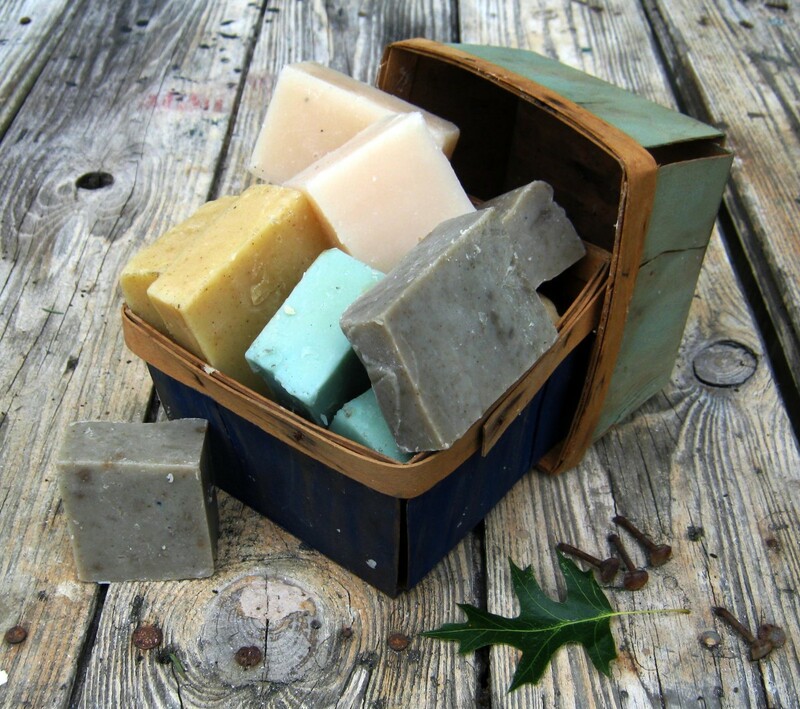 In this article, we'll be discussing cold process soap-making. Soap making ingredients aren't hard to obtain! You probably have a lot of what you already need to get started making soap today, in your own kitchen. For instance, do you use olive oil, corn oil, vegetable shortening, peanut oil, soybean oil, or lard in any of your cooking? Do you own castor oil? Have any linseed (flax) oil laying around? Well, then you already have the oils that you need to make soap! Now, for the lye, you may or may not have a 100% lye product in your home already. 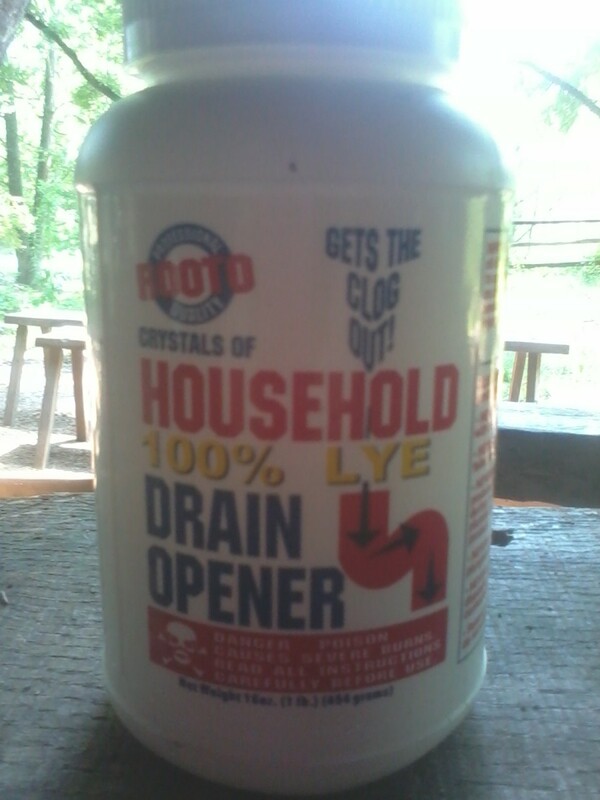 There are several products sold as drain openers that are 100% lye. But if it doesn’t say so on the label, do not attempt to use it for soap making. The good news is, even if you don’t have a lye drain de-clogger in the cupboard or under your bathroom sink, you can purchase one easily from the grocery store or hardware store. The other good news is that they are fairly cheap, about five dollars per pound. How Soap is Made - It's no mystery! The soap making process is a fairly simple chemical reaction in which lye (sodium hydroxide) reacts with water and then with fats and oils, “saponifying” the fats and oils. 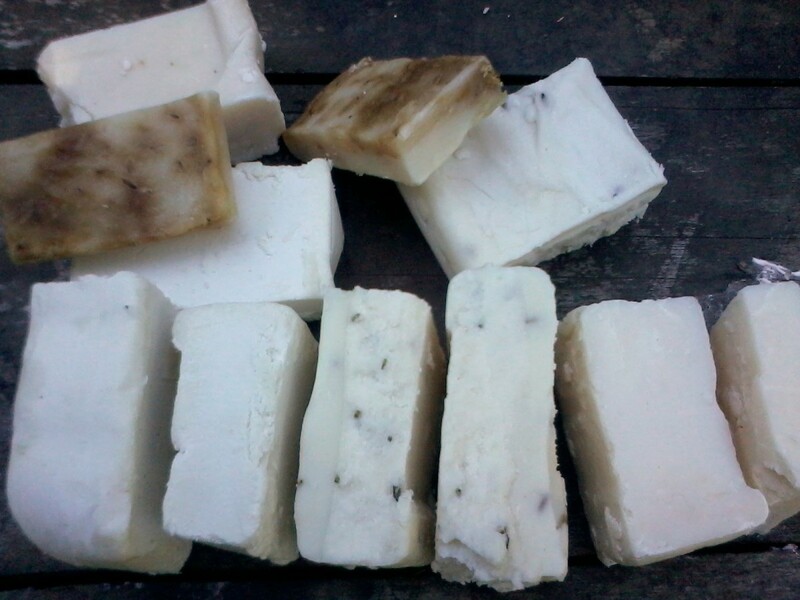 The end result, if the process is done properly, is soap that contains no lingering lye and almost no oil or fat. 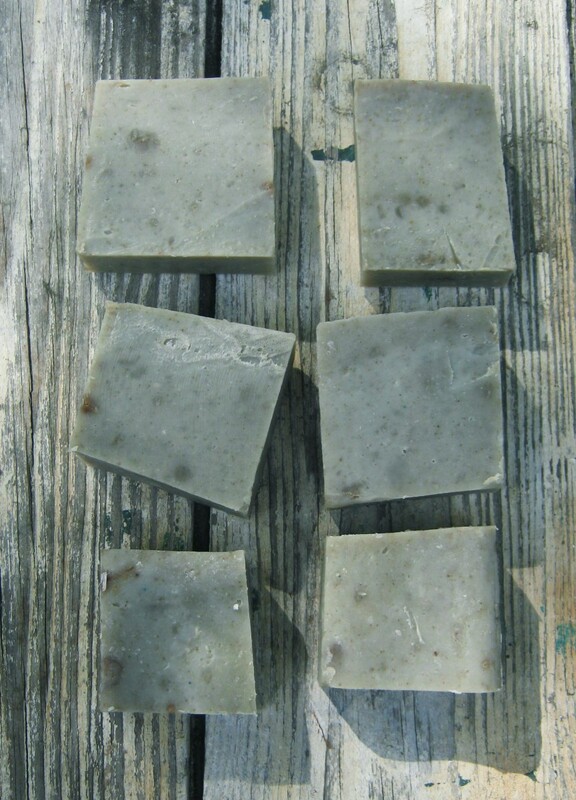 The trick to making soap is using the correct amount of lye for the correct type and amount of oil or fat. It takes a certain amount of lye to turn a certain amount of any given oil or fat into soap. But in reality, you don’t actually want all of the oil or fat to saponify. So we use something called superfatting, or a lye discount (same thing). Typical lye discounts are between 5 and 8%. I usually use 6%. This means that 6% of the lye that it would take to saponify all of the fat in one of my recipes is left out. And how do I figure out this complicated math? Well, I can tell you that I’m not sitting up all hours of the night studying saponification tables and doing algebra. No. Here in the twenty-first century, makers of home made soap are lucky to have something else that’s really useful: the internet. Here’s a great website for calculating how much lye you need for your soap recipe - SoapCalc . There are instructions on SoapCalc that explain how to use the calculator. If you’re still kind of confused, you should input 38% for your “water as percent of oils” and leave the lye to water ratio alone; input somewhere between 5 and 7% for the “superfat”; input 0 for the ounces of fragrance oil, unless you’ve purchased some that you want to use. It's also important to understand that while we may not want to eat a whole lot of corn oil, or especially partially hydrogenated oils, these are still good for soap making. The saponification process itself changes the oils so that they are no longer in their original form, so you don't need to feel like you will be rubbing shortening or lard into your skin. 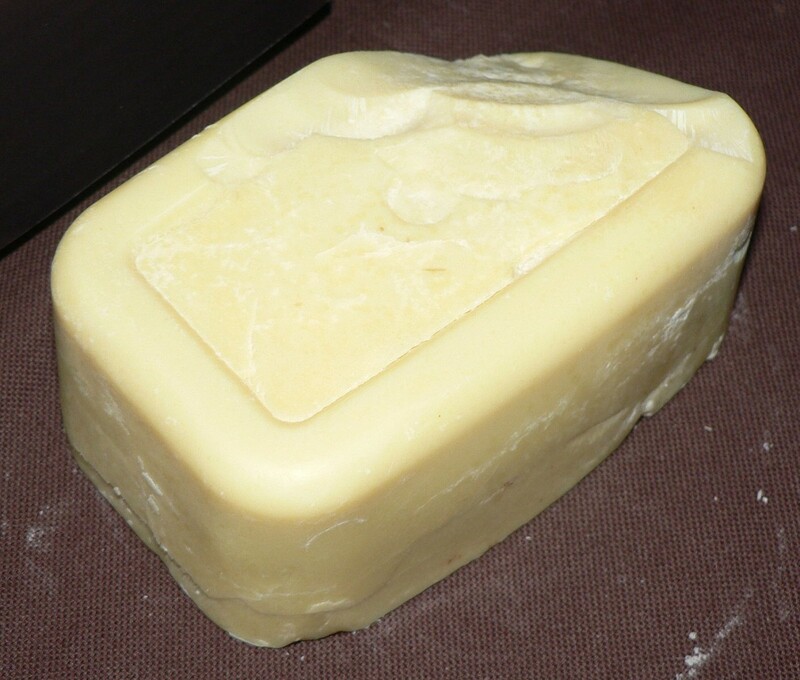 Lard, in fact, is one of the oldest soap making ingredients we know of. Whatever recipe you choose, the steps for making soap will be the same. 1) Put your oils/fats in a pot on the stove on low heat, and melt. Heat to between 100 and 120 degrees F. Do NOT use aluminum, as this will spoil your soap and could ruin your pot. 2) In a separate container (not aluminum!) add the water, which you have carefully measured. 3) Carefully measure the lye and add it to the water. Never reverse steps two and three. Pouring water over lye can cause a very dangerous, very sudden reaction. 4) Stir lye until it has dissolved. 5) Allow lye to cool. 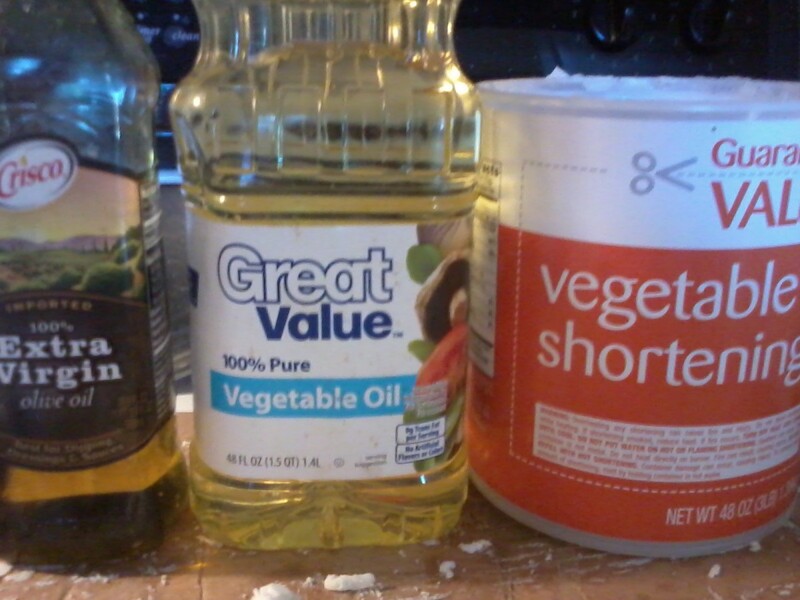 6) When lye solution and oils/fats are both around 100 to 120 degrees fahrenheit, add the lye solution to the oils. 9) Add any additional ingredients, such as herbs or fragrance oils. Stir them in. 10) Pour soap into a mold. 11) Cover the mold and wrap it in a blanket or towel, and let sit overnight. 12) After at least 12 hours have passed, remove soap from the mold. It should have hardened. 13) Cut the soap into bars and spread on paper, wax paper or paper towels. 14) Allow the soap to cure for 2 to 4 weeks, or until a small test patch of skin shows no signs of irritation 24 hours after contact with soap. Here are a couple of simple soap recipes that you can make from products that you probably already have in your kitchen, or that you can purchase easily and fairly cheaply from the grocery store. Follow the above instructions for cold process soap making, and you’re good to go! 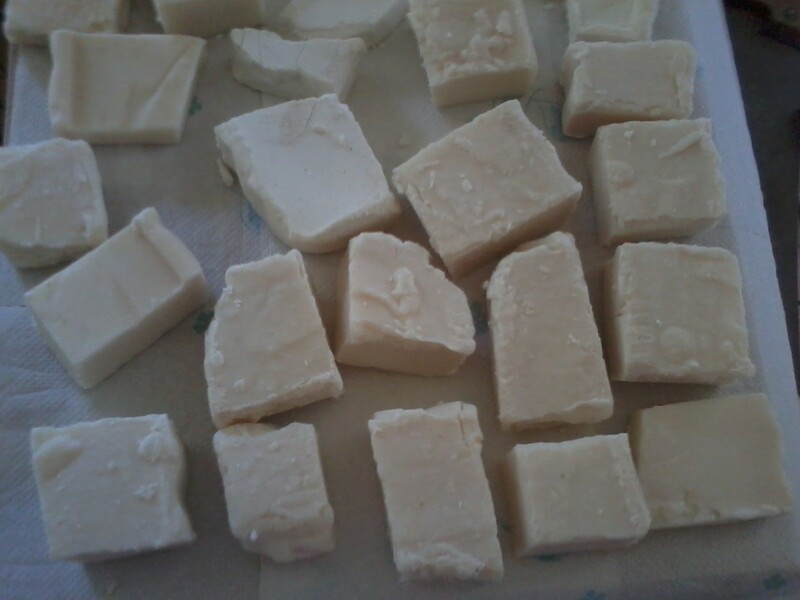 Follow my instructions for cold process soap making, and enjoy your soap! You can also make soap using only one ingredient. Pure oil olive, pure vegetable shortening, and pure lard soaps make great bases for experimenting with different fragrances, herbs, and other additives such as honey or beeswax. I offer these final tips for a great home made soap experience – Be careful with the lye, don’t be afraid to experiment with new things, make small batches when trying new recipes that you’re not sure of, run all of your recipes through a lye calculator like the one I mentioned, and most importantly, have fun! I enjoyed your article. I like to make things fromm scratch, so I think soap will be my next project. Sassypumpkins - thanks so much for your comment! I'm so glad the soap turned out well, especially considering that you had a real chemical expert with you to test my recipe - that's great! I appreciate your kind words about the novelty of the project and couldn't agree more. You just cannot please everyonethough, you know? Oh well! I think flax seeds are great for an exfoliating bar soap. You could also try sea salt, but I haven't done that myself. I would think you would want to mix in the salt at a hevy trace, or maybe even melt down the soap later and add it. Good luck with everything! Making soap is so fun! Hi Rachel, just had to write, I saw this hub a few months ago when researching how to make my own soap...I wrote down the instructions and asked hubby to assist me (one because he's a Chemical Research Scientists and works with dangerous chemicals daily and two because I'm in a wheelchair and wanted to make sure I was safe when dealing with the lye). 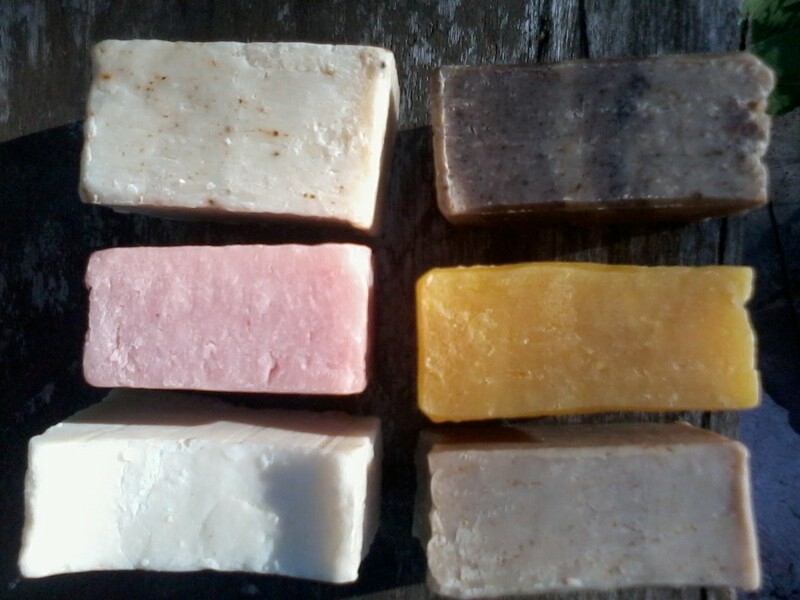 We finally found the time to make our first batch of soap (after hubby made a wooden soap mould for me), and today was the day to test the cured soap out and see how it worked...I'm so delighted with it and I can't thank you enough for sharing your recipes, hints, tips and encouragement...you rock! =) And so glad that Dolores Monet commented, she's absolutely right, you cannot make your own soap without lye AND so much of what we do in life is dangerous if not done with care and caution! Not just in the kitchen, crossing a busy road, driving a car, and so much more. Living life is a risk, and for folks not to see this means they either get everything done for them and basically have no life at all, or they have no life experience and just like to sound like they are important by putting others down...and to claim it wasn't novel, well, it's not novel if you do it yourself regularly, but for someone who's never done it, yep, it sure is novel (breathing isn't novel for all living creatures, but we sure do appreciate it, especially if we've been choking, have a severe allergic reaction, etc and finally get to draw air back into our lungs). So keep on sharing these wonderful instructions on things, your descriptions are wonderful, your observations and suggestions are helpful and you make the reader who's never done it feel empowered enough to give it a try! 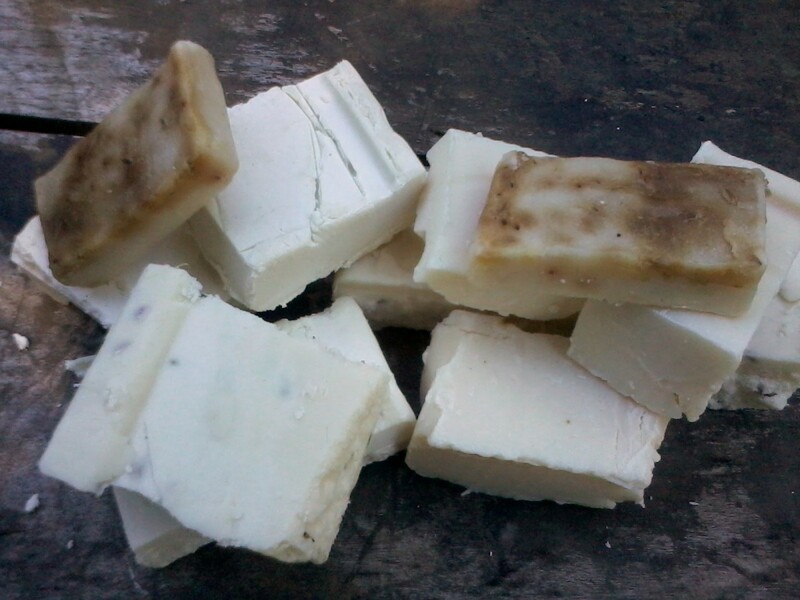 Btw, hubby is also thrilled with the soap outcome and the inexpensive costs - he's already got several ideas on other scents we can do from our own garden, along with adding some seeds 'grit' from some ground herb seeds to the soap to have an ex foliating bar. I love knowing what's going into it and what's not in it...and avoiding genetically modified ingredients can only be a good thing! =) Thanks again! I love the idea of homemade soap. But I'm a bit wary of the lye part because I have asthma. There are so many brands of organic melt and pour bases, but I have to save some money because most of them can be ordered online only. chrissie - Thanks for the comment :) I figured you might like this, after reading your recipe for doggie shampoo. Can't wait to try that one! And I'll be honored if you look at the Etsy shop, thanks for that. Looking forward to trying this out, but I think I will visit your Etsy shop first. Great article with a lot of useful information! I wonder what people used before soap was invented. Sand? Ashes? Volcanic pumice? Mom said another old process of soap making was done with the use of ashes--oak wood ashes, preferably. I suppose that was used in place of the lye. 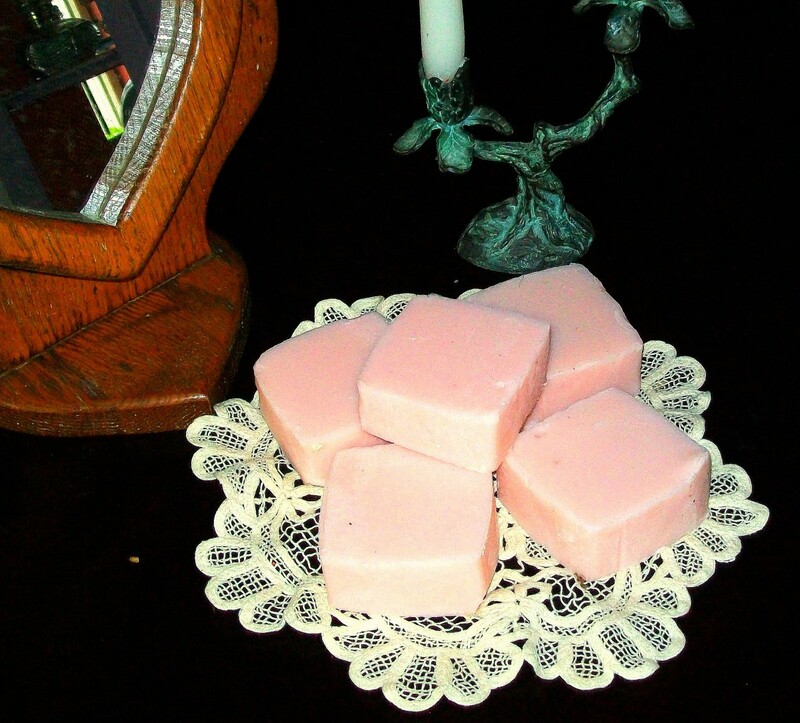 I used Mom's recipe, similar to yours, to make lye soap about 25 years ago. It was very useful, but I just could not add more chores to my list of household duties. That soap alone washed clothing, even whites as well as clorox. I have a friend who makes big batches of washing powder. Only a tablespoon full washes a full load well. I was shocked to know that her recipe was so simple. What a great hub! Thanks for sharing and bringing back memories of old times. Catsimmons - You should try it! Honestly, it's not hard, you just have to be careful with the lye and make sure you have the right amount of it to work the oils :) I'm certain that anyone can learn to make soap. Good luck! Creativelycc - Thanks for the comment, and good luck with your soap! DeviousOne - Hope you'll try it out! Thanks for the comment. Hui - Thanks for commenting. That's one of the things I love most about making soap, the process hasn't really changed in hundreds of years. Rajan - thanks for the comment and votes! You should try it, it's not hard, and I think it's very rewarding. Hi Dolores! Thanks for the comment :) I was a little surprised by the comment you're referring to... and actually, I thought, "I hope Dolores Monet sees that - she'll have something to say in defense of soap making!" Without lye, it's not soap - well said :) Thanks for stopping in, and take care! Hey Rachel - congratulations on Hub of the Day! I see (about 8 comments above) where someone says that there is a better way to make natural soap. A friend of mine claimed to have purchased natural soap that did not contain lye. I read the label which stated that the soap contained "caustic soda." That's another name for lye. Without lye, it is not soap. The soponification process needs fat + lye. In the kitchen, we often use dangerous processes like deep frying, we use fire, we boil sugar - all dangerous if done or used incorrectly. Oh the dangerous thrill of homemade stuff! I've always thought I would try making soap and now with your detailed instructions, maybe I will. Excellent hub, very useful. Interesting topic reminds people old days, old memories! Practicing something in old way of thinking adds flavoring into modern time, making ordinary life more fun, more meaningful and closer to nature! Congratulations! Excellent hub! Soap making is a lot of fun. I just started making it myself. The best to you! 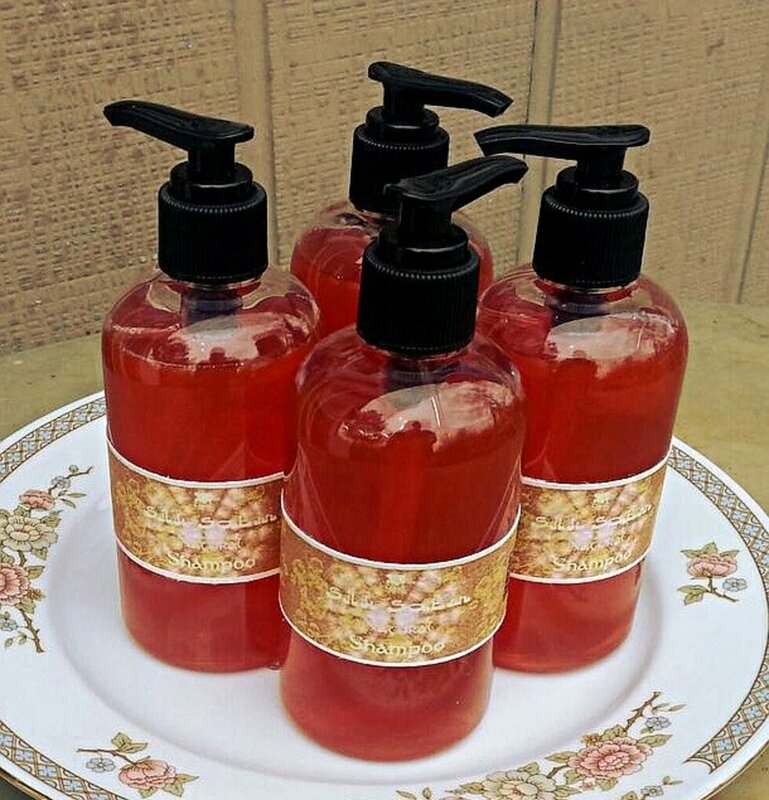 Rachel, thanks for sharing this soap making recipe. I've always wanted to try making soap. I would like to give it a try. Thanks for sharing. Voted up, useful and awesome. Good hub. My grandmother used to make soap all the time, but at a new moon, or a full moon; I can't remember. It's a classic skill. Hi Craig - Sorry you didn't find the information "novel," but afterall, soap-making is a very old skill; I doubt it's been "novel" for thousands of years. Lye is dangerous, yes, but you're safe if you proceed with caution and handle the lye responsibly, i.e. by wearing gloves, goggles, and long sleeves and pants. I don't write my hubs with the lowest common denominator in mind, and I believe that any right-minded adult can safely make soap using the method I described. Unfortunately, real soap is made when lye reacts with fat. To avoid that, you'll have to use detergent, which isn't soap, and certainly isn't all-natural. Always liked the idea of making homemade soap. But I don't like the idea of working with lye, a very dangerous chemical (despite your cautions). There must be a better way to make natural soap. Congrats on your Hub of the Day, but this information is hardly novel and potentially dangerous to the reader who would attend to it without the proper caution. Relationshipc - Well, if you like homemade, you'll probably enjoying making soap :) Thanks for the comment! Leah - Thanks! Chemistry class seems like it would be a good place for an intro to soap-making, pretty cool. This stuff all looks so familiar because my wife has been making soap for years. She has always enjoyed being able to make the soap her own way with whatever she wants to mix in. Great info, voted up and useful and congrats on the HOTD. Nice. I love these kind of articles. I make a lot of my own things at home, but soap isn't one of them. I do buy from lush though, so I'm pretty sure I'm not dealing with additives or chemicals. Although, it would be better to see exactly what is going in my soap. Will have to try! Very useful hub indeed! I like that you included 2 soap recipes. Congrats on the HOTD Award! Voted up & useful. This is so cool! I can't wait to try it. I once made soap as part of a chemistry class in high school, and it was really fun - but I love all the different recipes you have provided here! I think I need to link this to my hub on making deodorant! Someone who is even contemplating one might be willing to try the other. I love making soap, but I haven't done it in years. Thanks for the great tutorial and suggestions. cclitgirl - Thanks for the comment :) I could never live in the city or suburbia again, either. And yup, choppin' and soapin' don't exactly go together, but it's all in the same vein! I actually have some beeswax too that I'm going to throw in a batch of soap and see how it goes. You're brave to want to keep bees. Sadly, I'm allergic, so no bees for me! Thanks for stopping by, and take care. Dirt Farmer - Thanks, Jill! This was a pretty big surprise. Sherrituck - I've made some candles, too, but very boring ones ;) Thanks for reading and commenting! Funny how "homemade" has such a special ring to it, when half a century ago, "machine made" seemed to be all the rage. I love this hub! Choppin' wood and makin' soap, are ya? Hehehe. I have yet to venture into the "making soap" arena. I'm about to experiment with a batch of beeswax for some art projects, and actually getting bees are on my list. It's a slow process turning me into a kountry girl from the city girl. :D But, I'm well on my way. I could never live in the city again. Hehe. Thanks for sharing this! Voted up/pinned/bookmarked/tweeted. Awesome stuff here! Hi Bill! Imagine my excitement when I checked my email this morning and saw that I'd gotten Hub of the Day :) Thanks for commenting and cheering me on, and I'm so surprised you haven't won HOD yet - I'm sure you will (wonder who I can talk to about that (; )!! Carozy - Thanks so much! Hope you will give soap-making a try. Congratulations of your hub of the day. I am really interested in the topic since I am starting to get into the world of making my own, natural products. However, I will not be using lye for any of my soaps. While it has been used for a long, long time, there are too many risks. You provide a lot of needed information and present the steps in an easy to follow manner. Thanks for sharing! Soap making looks fun. I will try this sometime. Congrats on a well-deserved Hub of the Day. Voted useful and interesting. Hub of the Day!!! Congratulations Rachel! I've been chasing after one of these for quite some time now; I'm always happy when someone I respect wins one. Great job as usual on this hub! You did a great job making the process look possible. I agree that unless you make personal care products and cleaners yourself there is no way to know what is really in them. Congratulations on HOD!! I enjoy making soap and candles. You Hub contains great advice for the novice. Wow, thanks for the comments, everyone!!! I'm really honored to have this hub named Hub of the Day. tjdavis - I love goat milk, too. I made soap with cow's milk, and I figure I'll have to try goat milk at some point! Billy - LOL - I had to check out your profile to understand your last little comment there ;) Lots of men make soap! And if you've got a market there for handmade soaps, maybe you should give it a try. I would recommend buying a real soap mold, though (unlike what I use), because in my experience potential customers tend to react better to more regular-looking bars. Outstanding Hub, really great. I'm definitely going to try this at some point. I've always been interested in experimenting with making soap, but I was never able to find a set of instructions this well done. Not only is this a great "money saving" idea, but custom/homemade soaps are huge sellers here in my area (Orlando). Congrats on your Hub of the Day award for this natural soap making info. Very interesting--thanks for the recipes! Quite interesting! And going for the natural is always a good thing to do. Great hub! Plus, this may also be a good idea for a business. Farmer Rachel, congratulations on a well-deserved Hub of the Day! Congratulations on your Hub of the Day! Your detailed instructions make the process sound pretty easy. I've never tried making soap, but know several people who have, including a few who sell it. It would be a fun project sometime. That's a neat idea, I'd love to do this. It would make a really good gift as well. Great Hub and congrats on Hub of the Day. Well deserved! Mama Kim - Thanks for reading and commenting :) Yup, people have been making soap for a long time, and even today probably thousands of people every year make soap without trouble. But it IS important to understand how sodium hydroxide works and how NOT to get burned by it! I hope you'll give soap-making a try. If you do, let me know how it goes! Thank you farmer Rachael! The only thing with the HP is that the heat kills some of the scent of the essential oils so that you have to use more. But the HP is a harder bar that lasts longer. Oldroses - Thanks! Yes, working with lye is dangerous. I wouldn't want to give anyone the wrong impression! Really good hub! I especially like the emphasis on safety and how to treat lye burns. lrc - Thank you very much! Wonderful hub. Well written with precision. Dolores - Thank you! I have had the same experience when purchasing lye for soap-making before. It's a shame that people seem to associate bad reactions to comercially produced soap with the lye rather than with all of the artificial ingredients and other chemicals used. 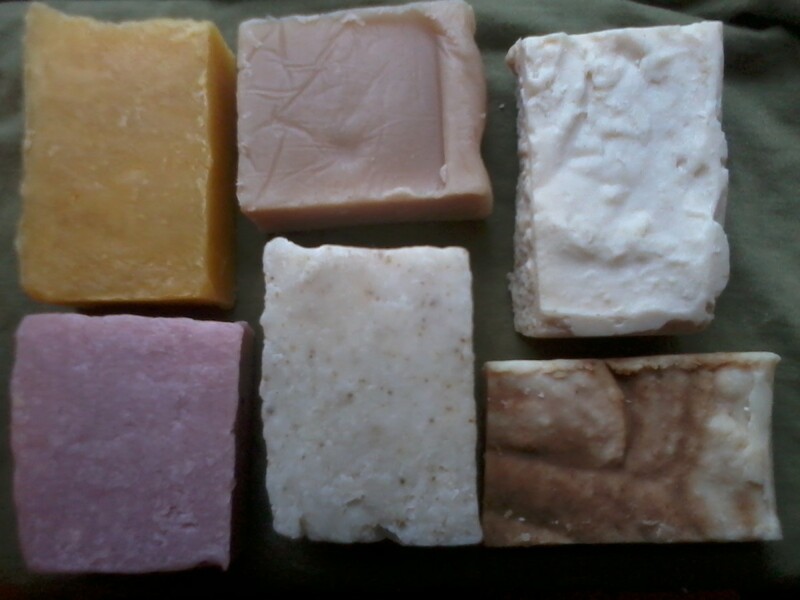 By the way, I linked to your article on hot process soap making - hope you don't mind! I thought it was very good. I'm going to try hot process one of these days. Enjoyed your article on soap making. I love to make soap. You made an excellent point about the lye and how you have make sure that it really is lye. I've had so many people insist that you should not put lye in soap, even at the plumbing supply store where I buy the lye. Dirt Farmer - You should definitely try it out! Dried lavender flowers are my favorite additive, actually. I've found that it's best to add lavender at trace. Some herbs (like spearmint) work better if you heat them with the oils and then remove the herb(s) from the oil, but for me lavender doesn't work so well that way. Be aware that your lavender will most likely turn brown during saponification, but your soap will smell awesome. Great and very useful article Farmer R. Good to see some old school wisdom shared for others to learn from. I'd love to try this & add dried lavender into the mix. Any special advice? You're welcome, glad I could be helpful! LOL! For some reason Farmer Rachel I really felt your concern and compassion for my situation and I will DEFINITELY go back and look at that Brambleberry link! Thanks so much again! Lady Summerset - glad you enjoyed the article, thanks for reading! You know, I'm not usually an advocate for "melt and pour soap", but where children are involved it's a good idea (no lye involved!). Check out the link to Brambleberry that I gave - they sell melt and pour. No lye, and you get to add whatever herbs, flowers or oils strike your fancy! I've always been interested in making soap. I always pictured myself adding essentials oils and dried flowers, then cutting the pretty bars and wrapping with raffia until I got to the potential of lye in your article! I have a clumsy and inquisitive 8-year old that brought all those pretty ideas to an instant halt! LOL! Enjoyed your article!